This civilization is over. And everybody knows it. 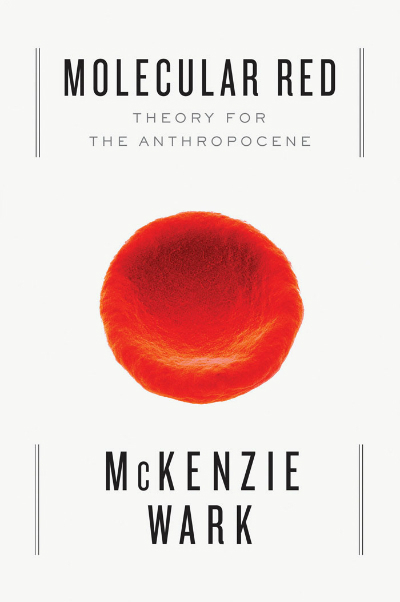 Below is the transcript McKenzie Wark's speech marking the launch of his latest project Molecular Red: Theory for the Anthropocene, on sale today. The good news is: this civilization is over. And everybody knows it. And the good news is: we can all start building another one, here in the ruins, and out of pieces of the old one. 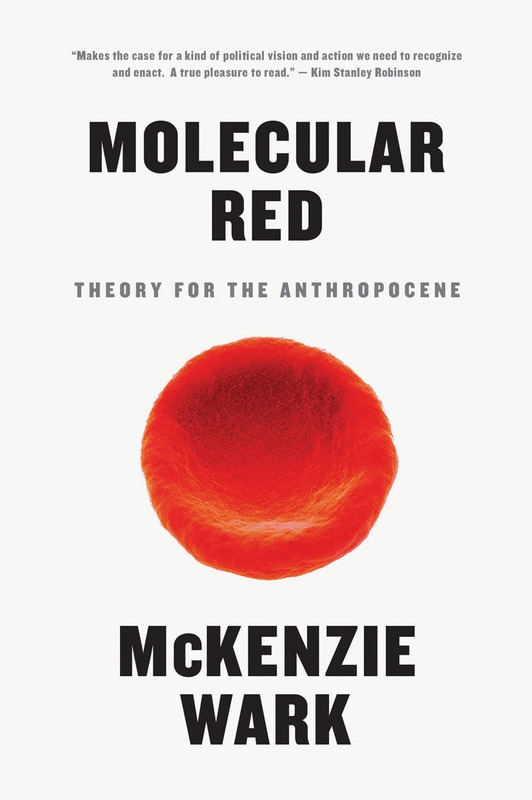 The subtitle to Molecular Red is Theory for the Anthropocene. You can call it the Anthropocene, or the misanthropocene, or the anthrobscene or the capitaloscene or after Marx you could call it metabolic rift. Call it what you damn well like, but call it something, and recognize that things have changed. Molecular Red is not a theory of the Anthropocene. I’m not a scientist. It is theory for the Anthropocene. It’s about theory for this when social life can no longer be thought of as an autonomous sphere, separate from its base in natural conditions of existence. There is a certain emotional difficulty in accepting the fact that our world is disappearing in slow motion. That is why I present this as a good news story. Let’s get on with making a new world out of the ruins of the old. What small part can a theory book play in such an endeavor? Well, theory books are about concepts. Now, a good fact is mostly true, but about some thing in particular. A good concept is slightly true, but about a lot of things. It’s a way of bundling up facts into patterns. We need new patterns, because we have new facts. New theories are made out of old theories. Its about looking at the gap between the world and thought, and finding in the archive of past thought some patterns that might hold the present in some way that is both a bit familiar and a bit strange. A good theory shows both the present state of the world and the past state of thought in a bit of new light. So when one wants to think and work in a situation that has some new facts – that is what the Anthropocene is – then one could do with some new theory, or new-old, starting in some neglected aisles of the archive. I just don’t think the hallowed names we read – or read about – in grad school or in the media are much use now. Most of our theory gurus are Holocene thinkers – from a time when the earth was stable – not Anthropocene thinkers – for this time when it is not. If we are going to build a new civilization, one that can cope with an unstable world, perhaps we could start by looking through the ruins of the last attempt to build a new civilization. An attempt that failed. The Soviet Union lasted less than a century. The one thing one can’t fault about it was its ambition. Firstly, he almost got a theory of climate change right, as early as 1908, and he almost figured out the carbon cycle, by 1920. Not bad for a fugitive Marxist theorist and amateur scientist. Secondly, he thought that labor had to defeat capital so that it could get to grips with an even bigger problem: labor’s relationship to nature. Thirdly, he was not wedded to any dogmatic Marxocological theory. To be a Marxist was to think from the labor point of view, and to try and organize knowledge and labor collaboratively. Trust me, this is a way out of some very, very boring and interminable arguments. It is an artifact of cold war thought that the Soviets lost and the Americans won. In Molecular Red I tell a different historical parable. The failure of Soviet civilization prefigures the decline of our own. They both suffer the same tragic flaw. The gleaming superstructures of this world, like that one, ignore their debt to a base made of social labor’s reworking of nature. Of all the crazy, cranky, brilliant theorists, Marxian and other, to come out of the 20th century, poor old Bogdanov never quite got rediscovered. From the New Left to the Postmoderns, everyone ignored him. But somebody reinvented many core parts of his method in more contemporary guise without even knowing it. That person was Donna Haraway. The second half of Molecular Red draws its inspiration from Haraway, as the late American empire’s analog to the early Soviet Union’s Bogdanov. Here are some of the things I find useful about her work for our times. Secondly, like Bogdanov, she is interested in the space between nature and labor, or what she calls as one word natureculture. She never brackets off the natural world and treats it as given. Thirdly, like Bogdanov, she has a lively, respectful yet critical interest in the natural sciences. It is striking to me that you can call out people for disrespecting others based on race, gender or sexuality, but somehow it is OK to disrespect others whose identities are based on the scientific ‘lifestyle’. All sane and reasonable people accept that climate change is real, and yet it is still OK to disrespect the very people who do the kind of knowledge that produced the fact of climate change. In a time when climate scientists receive death threats, I think it is vital that we make clear that we stand with them, and not with climate deniers – not all of them on the right – who use the old tools of humanistic knowledge to explain the Anthropocene away. So in the second part of Molecular Red, I start with Haraway, as a guide to our current civilization, such as it is, this military entertainment complex. From Bogdanov, Haraway and their respective messmates, I draw out the conceptual tools that might help us do three things, which I will frame here as questions. Firstly, what does it mean today to think from the labor point of view? Can there be alliances among those who perform all kinds of labor: manual, intellectual, affective, precarious, artistic, scientific? Secondly, can we start work right now, in our institutions, our everyday lives, our social movements, on building the capacity to collaborate, to build a life that is at least partly outside the commodity form? Thirdly, might there be a use for a kind of utopian imagination, but where that means the opposite of what utopian is usually taken to mean? Rather than an impossible ideal, can the utopian be a relentlessly pragmatic way of proposing possible forms of life? After all it is the authors of utopias, not of the bourgeois novels, who ask the hard questions, about who does the boring jobs and who takes out the trash. These three questions are the three classic problems of theory, actually: What can I know? What should I do? For what can I hope? Molecular Red is about living and loving and working on these problems in unstable times. As Raoul Duke once put it: when the going gets weird, the weird turn pro. And so its time to return to the archive and open some strange closets. We’re going to need some new ancestors in our next civilization.